Our main activities during the week take place in the daily lives of congregation members. The church's mission is seen in action in the workplace, school, homes and ministries of the people of St Augustine's. Some of the corporate ministries of our congregation are highlighted below. 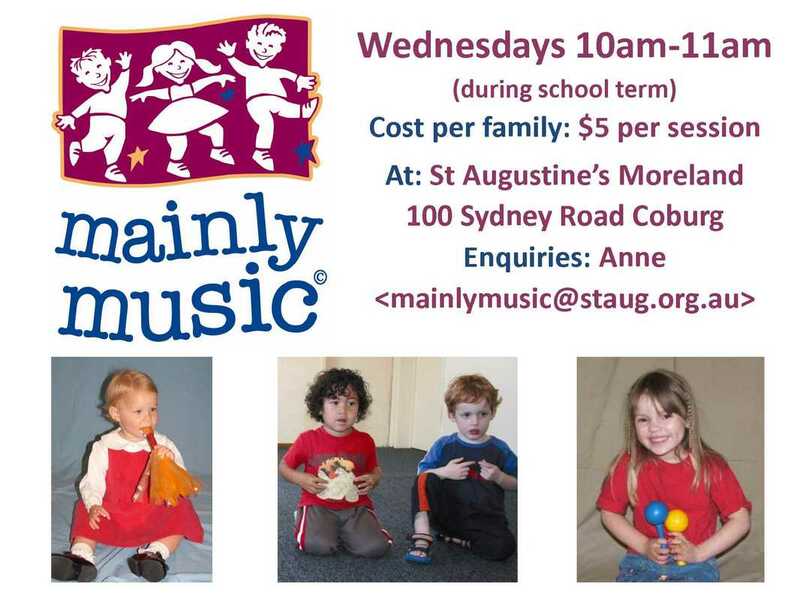 Our mainly music group meets on Wednesdays from 10 to 11am during school term. During the week, small groups meet in parishioners' homes to read the Bible, pray and enjoy building relationships. We have a monthly Big Sunday for families with young children and are always looking to add groups! Contact Angela for more info!